The SproutVideo player is equipped with built-in social sharing tools to allow your viewers to easily share your videos with their fans and followers. 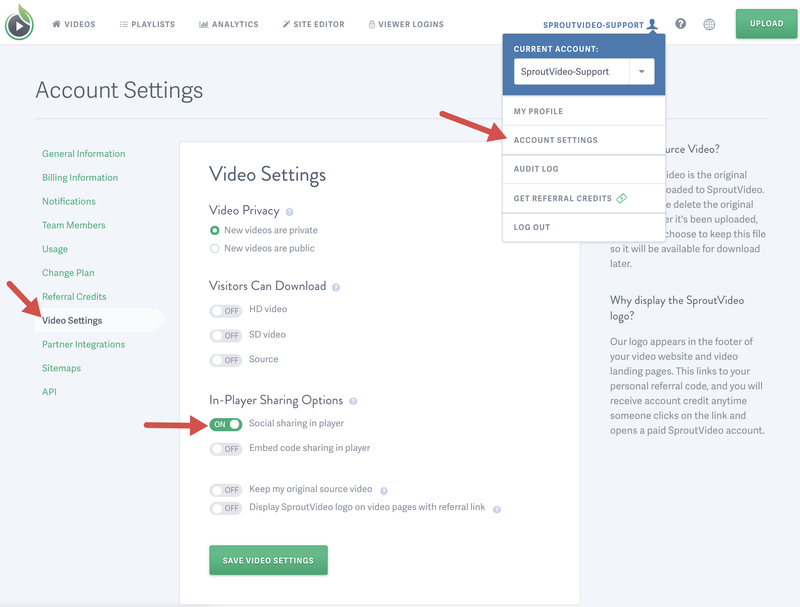 Enabling this option will allow your viewers to share your video on Facebook, Twitter, Pinterest, Google+, Linkedin, or in an email. Social sharing through the player is disabled by default. Select the video from the ‘Videos’ page. Click ‘Video Settings’ on the lefthand side of the screen. 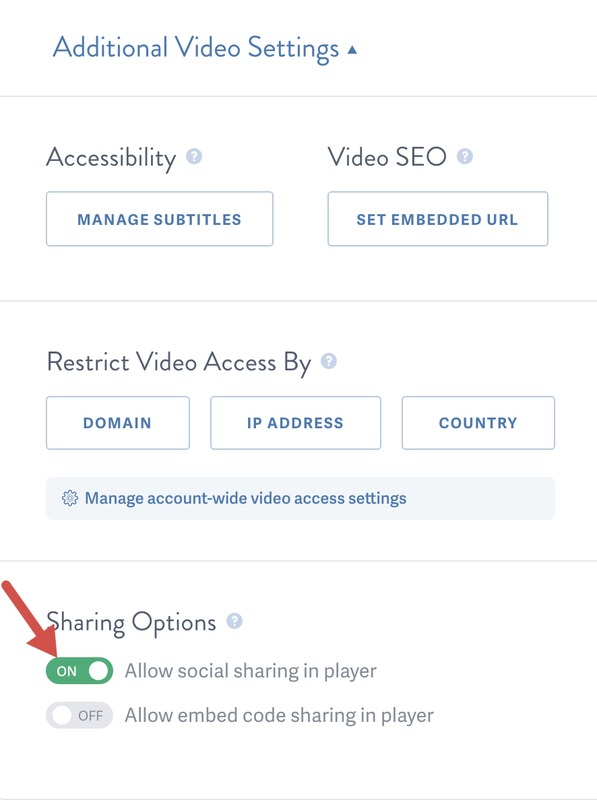 Toggle the switch for ‘Social sharing in player’ under ‘In-Player Sharing Options,’ and be sure to click ‘Save Video Settings’ when you are done.